A post about a safari wedding – here? Well, yes! We have a big new update on our “About Us” tab at JD African Safaris that we wanted to share with you. 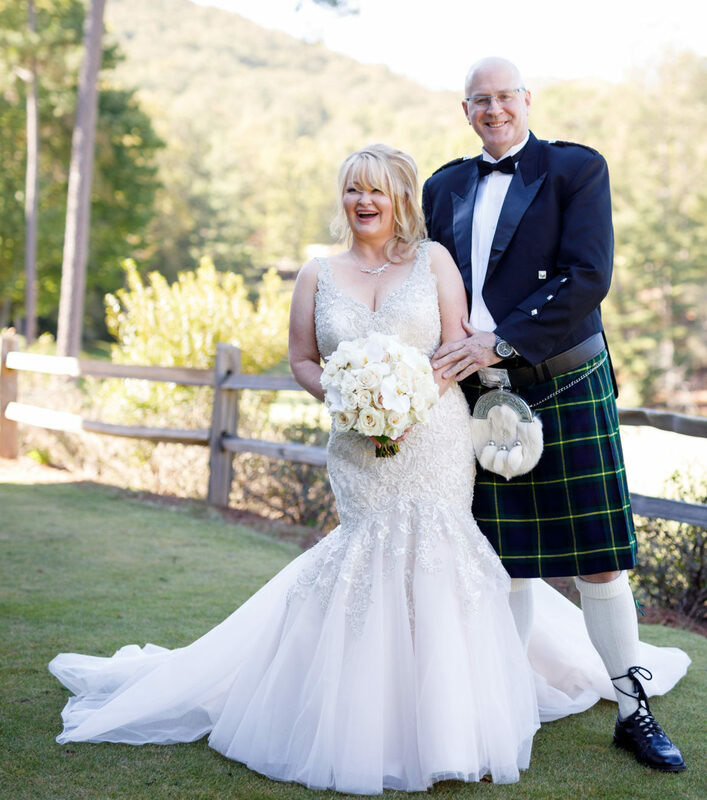 After several years together, JD and I tied the knot on October 20, 2017. It was an amazingly beautiful day in the North Georgia mountains in Big Canoe, GA, a fantastic little community near Marble Hill. Okay, Okay, so by now you’re probably saying, “Oh, C’mon, isn’t this an African safari hunting site?” “Shouldn’t you be posting this on some community wedding blog!” Not exactly! I’ll explain. On this beautiful day, surrounded by many of our friends and family on our special day, it only made sense to us to integrate our passion of Africa into our wedding, so it became our theme! So, noooo, it was not camouflage, nor did it involve rifles and monster trucks, which would have been fun too, lol, but we went a different route of elegance and sophistication. 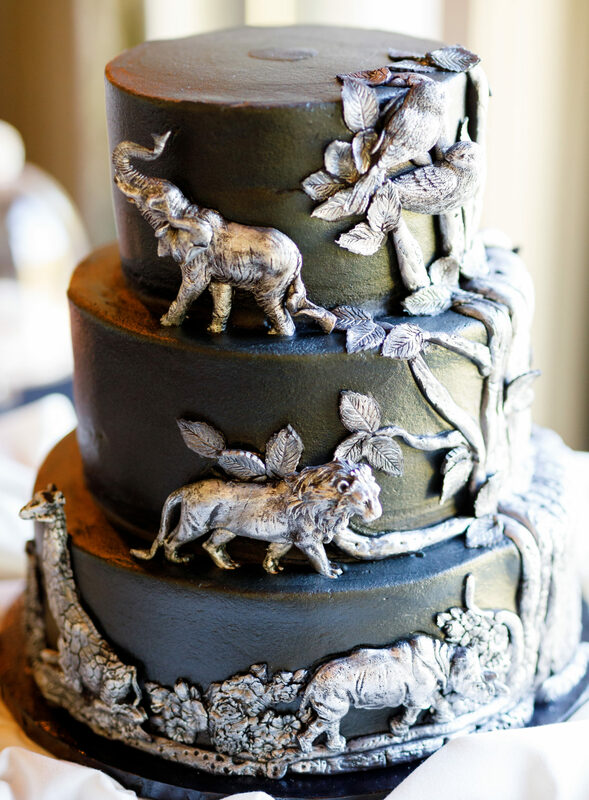 Our focal point was an amazing African safari-themed cake with black buttercream icing and silver metallic-looking African animals hand-crafted from modelling chocolate by a true cake artist. And, YES it was as delicious as it was beautiful. This cake was the foundation for many additional “safari” elements that just seemed to flawlessly fall in to place. We wanted to share with our past clients, new clients, and readers, a little of our special day. If you’re here, you love Africa, the animals, the experience, and everything that goes with it, so we know you’ll appreciate it. This is our little way of expressing our love and dedication to Africa, hunting, and conservation. So, dotted throughout this post are a few photos of our wedding. 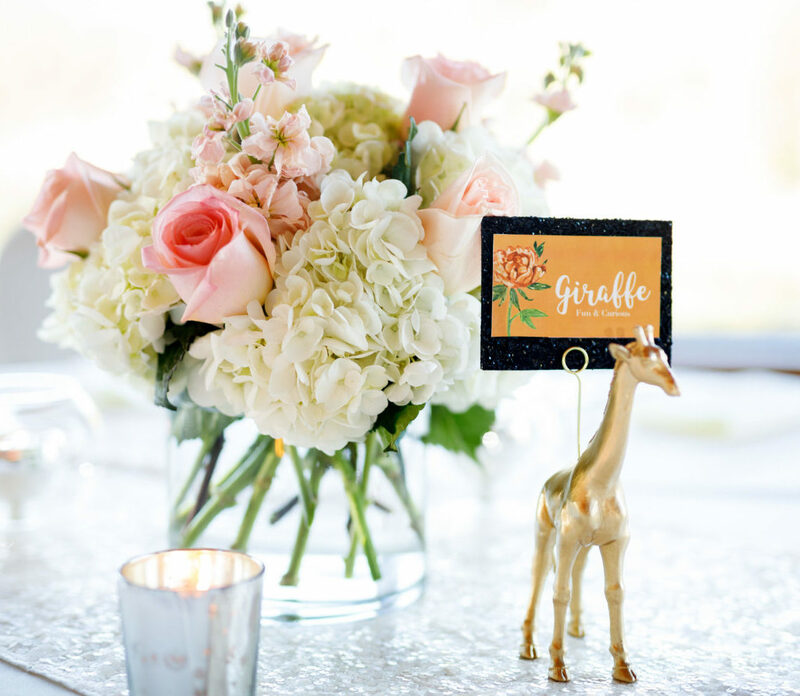 If you’ll be getting married soon or renewing your vows, looking for a little inspiration and like what you see, feel free to borrow or share our safari wedding theme ideas. 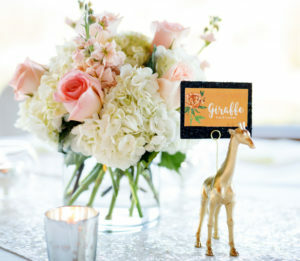 Also, you might think of an African Safari as a wedding destination or honeymoon. We can offer you luxury accommodations and honeymoon packages for bride and groom, or the entire family! Give us a call at 706-502-2898 or contact us now for your safari wedding.